The Yomiuri ShimbunThe government plans to launch a project to send astronauts to the moon’s surface on an exploration mission in cooperation with a similar U.S. space project, sources close to the government said. By joining an international space probe, the nation is expected to obtain scientific results, and also boost its competitiveness in the space industry and assert Japan’s leadership in the field of space utilization, the sources said. Japan has participated in the International Space Station. ISS operations have been arranged up through 2024 but operations beyond that year remain uncertain. 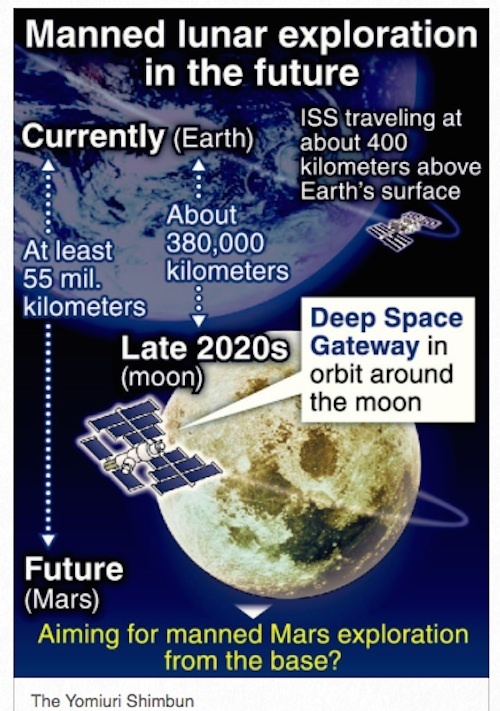 With an eye on the post-ISS era, the U.S. National Aeronautics and Space Administration has formulated the space project “Deep Space Gateway.” Under this project, NASA plans to build a spaceport in lunar orbit, equipped with a habitat for astronauts and a fuel supply facility. 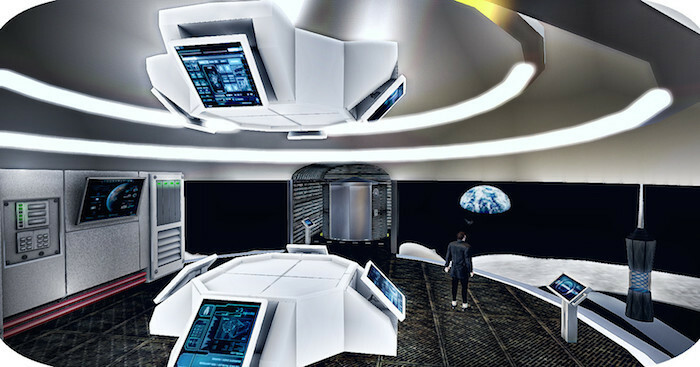 The spaceport will be used as a base for manned exploration missions on the lunar surface and a relay base to explore deep space toward Mars. NASA hopes to begin sending construction materials into space in about 2020 to start the assembly of the gateway. Promoting international cooperation also is expected to reduce costs. The Japanese government plans to compile a report on the future of international space exploration through such forums as the Committee on National Space Policy, composed of experts. In mid-December, the government plans to revise the road map for the Basic Plan on Space Policy, including items such as technologies needed for a lunar exploration. The current plan was adopted at a Cabinet meeting in 2016. The government revises the road map every year based on the basic policy.